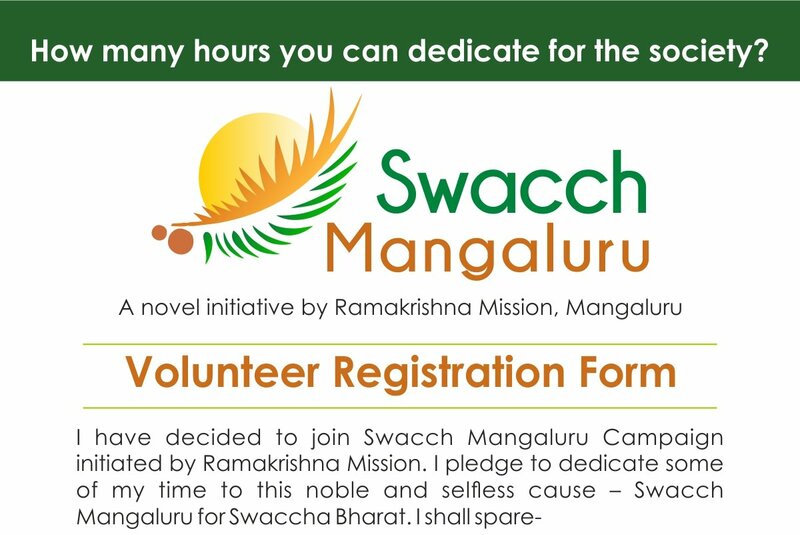 Swacch Mangaluru for Swacch Bharath | Ramakrishna Math & Mission, Mangaluru. 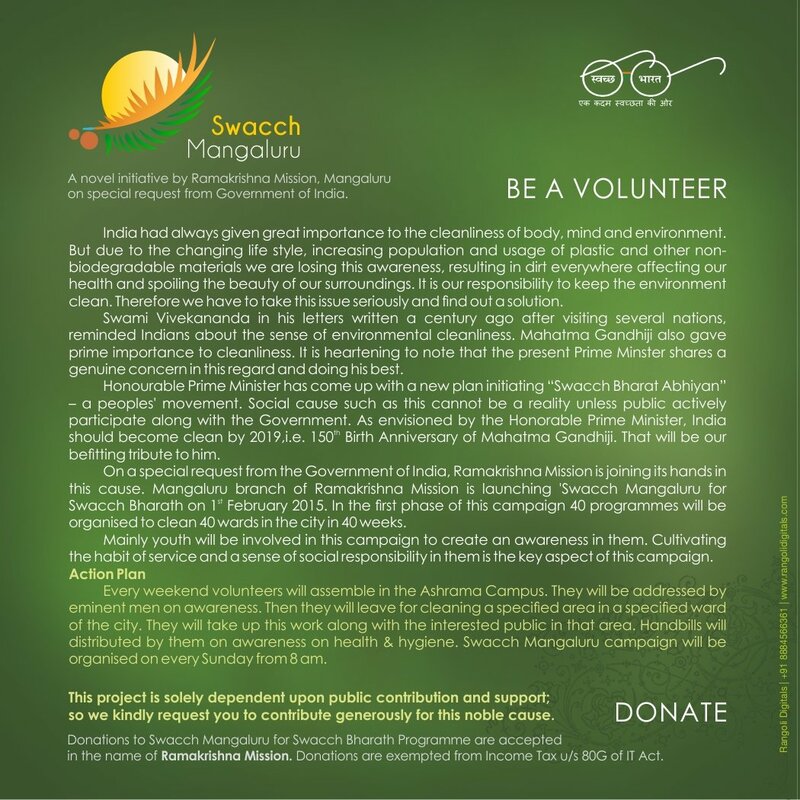 Ramakrishna Mission had initiated 40 weeks’ Swacch Mangaluru Abhiyan on special request from Govt. of India on 1st February 2015. Since then under the aegis of Ashram, thousands of volunteers, students, youths and general public have undertaken this cleanliness drive for the last 34 weeks in different parts of the city. This Abhiyan has won the accolades of one and all given its nature. As we enter the 35th consecutive week on 17th January 2016, we invite one and all to join us at 7.30 am at Marnamikatta Circle for the Swacchata Abhiyan. Swami Balabhadranandaji, Assistant Secretary, Ramakrsihna Mission, Belur Math & Sri N Vinay Hegde, Chancellor, Nitte University will be jointly flagging off the drive. The concluding programme of the 35th Drive will be held at Swami Vivekananda Auditorium at Ramakrishna Math, Mangaladevi, Mangaluru at 10.30 am on the 17th January. Sadhvi Uma Bharti ji, Hon. Minister for Water Resources, Govt. of India will be inaugurating the programme and addressing the audience. Swami Balabhadranandaji will also be addressing the audience followed by Sri Nalin Kumar Kateel, MP & Sri Kumar H, MD, MRPL, Mangaluru. The Details of the programme are given below. All the interested are invited to attend the programmes.